Your property should serve as a refuge from nosy neighbors, busy streets, and the general hum and buzz of the outside world. Fortunately, no matter where you live, there are steps you can take to achieve a sense of solitude for your home and yard. Regardless of your property size or budget, we’ve got some ideas to help you to create a greater sense of privacy. Installing a fence is one of the easiest ways to increase privacy for your home. If you have a smaller yard, fences have a small enough footprint that you won’t need to worry about them taking up too much space. Chain link: Chain-link fences are cheap and durable but don’t offer much in the way of privacy. They are a budget-friendly option if you’re simply looking to keep the pets contained. Just remember that the chain link construction won’t give your property a greater sense of solitude. Wood: Wood fences are one of the most popular options for American homeowners, in part because they can be built tall enough to provide ample privacy for sunny days when you’re working on your tan. 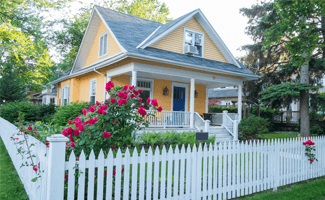 Keep in mind the height of the wood fence will proportionately affect pricing. Vinyl and PVC: These fences offer the same coverage benefits as wood fences at a much lower cost. Once installed, PVC doesn’t need to be painted or stained, and it doesn’t noticeably weather from sun exposure. That said, extreme temperatures can make PVC fences more brittle, inviting cracks and corrosion. Concrete block walls: Concrete walls aren’t the cheapest fencing option, but they are the best option if you’re looking for privacy and a strong sound buffer all in one. They also maintain their durability in hot climates where vinyl fences aren’t practical. Not all fences give ample privacy. Chain-link fences help secure your property line or keep your pets contained, but they don’t offer much in the way of solitude. Privacy screens are an affordable way to decrease visibility along your existing fence line. 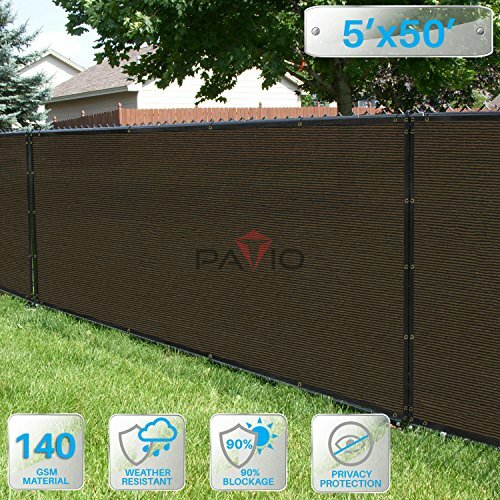 The most common privacy screens are made of a mesh fabric that provides full coverage on top of exposed fences. For chain-link fences, you can buy plastic slats that fit vertically through the fence links to keep nosy neighbors from seeing in. Finding ways to cut back noise pollution gives you a greater sense of solitude when you’re in the backyard, unwinding with a drink or grilling up some dinner. Fountains create ambient, calming sounds to counteract the busy world beyond your property line. 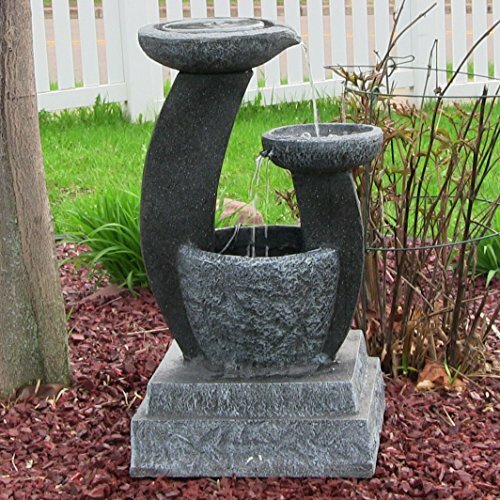 You can find budget-friendly options like recirculating bird baths, but keep in mind smaller fountains can only reduce noise effectively within their immediate area, so you’ll have to be strategic about where you set them up. By layering small trees and shrubs with smaller plants, you can create a barrier for your property without fences. In cooler climates, leaves on deciduous plants won’t stick around after autumn, so you’ll want to plant some evergreen trees and shrubs for year-round privacy if your other plants will be bare come winterl. Landscaping for privacy has a much larger footprint than a standard fence, due to the space required for layering trees, shrubs, and plants, so it’s most suitable if you have room to spare on your property. A word of caution: Make sure to keep your landscaping clean and well-trimmed. Overgrown yards might appeal to would-be intruders because they offer extra places to hide in on your property. Pergolas and gazebos are a beautiful way to add privacy to your patio or deck without building along the entire property line. 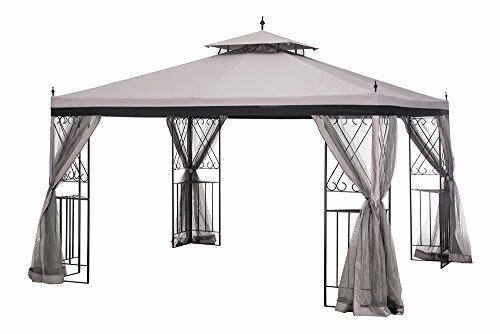 If building a pergola sounds daunting, you can purchase an easy-to-assemble gazebo that offers similar protection—especially when you work in some vines or hanging plants for added coverage. 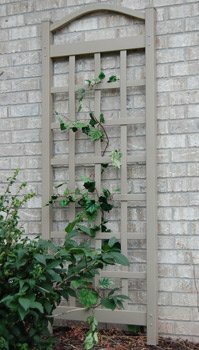 Privacy panels and trellises can create a buffer for specific parts of your property. You can place them strategically to create seclusion for a porch or patio or add them along your property line to limit visibility for the whole yard. As with pergolas, you can add vines or hanging plants to privacy panels and trellises for a little extra solitude. Sheds not only give you added storage and protection for expensive items like power tools and lawn mowers, but they also block noise and keep prying eyes out. A shed doesn’t have to be a major investment or a lengthy DIY project. 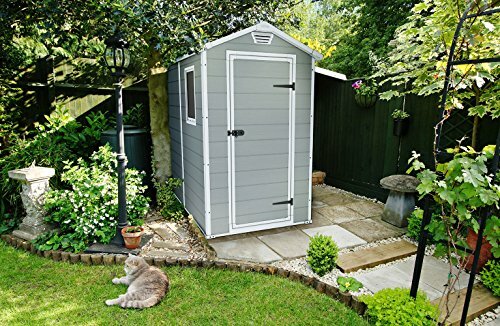 For a quick, budget-friendly option, you can find vinyl or plastic sheds that are much easier to assemble than a shed built from scratch. While this option also helps improve security on your property, installing a camera can work as a proactive measure to increase your privacy. 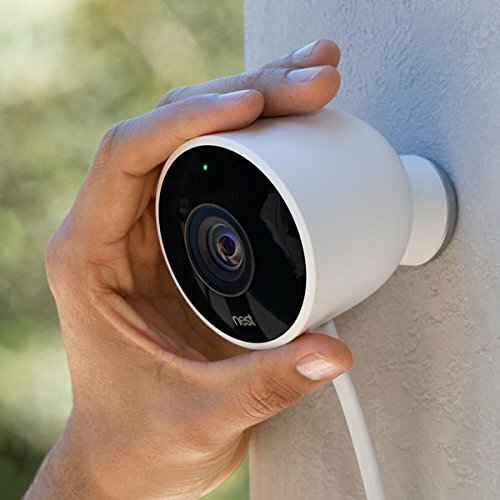 Installing a camera with cloud storage will let you watch live footage or look back at motion-activated clips to see if your property privacy is truly up to your standards. It might also deter would-be intruders or trespassers. It’s a good idea to chat with your neighbors about different property privacy options. Landscaping or building a fence along your property line will invariably affect your neighbors next door, so make sure they’re up to speed on your plans. It’s also helpful to regularly walk the perimeter of your property to ensure there are no weaknesses or unwanted sightlines into your property. In these cases, it’s helpful to coordinate with your neighbors so you can inspect the property line from the other side of the yard. There are likely local regulations about fences and landscaping along your property line. Code violations can come with hefty fines—not to mention the cost of tearing down and rebuilding a new fence. Look at your local building codes for rules on fence heights and other regulations that might limit privacy options on your property. If you’re going to landscape along your property, don’t forget to factor climate into your planning. Colder regions that frost during the winter will require evergreen plants and trees to maintain coverage throughout the year. Deciduous plants are a great way to buffer your privacy during warmer months, but their foliage won’t last the winter. Whether you choose to implement one or several of the tips above, you’re well on your way to making your property more private, and a whole lot more peaceful. Have you used any of these methods, or have other ideas to improve privacy on your property? Let us know in a comment below.